Any epicurean in Singapore with a decadent taste for fine-dining will know of Iggy’s – The restaurant widely recognised as Singapore’s and Asia’s best because many restaurant guides (sans Michelin for now) say so. Located within the Hilton hotel’s premises along Orchard Road, the restaurant is serves modern haute cuisine that incorporates an eclectic mix of styles and ingredients from Europe, Asia and Australia. We got to know of Iggy’s in 2009, after reading articles on the accolades that the restaurant had received, and resolved to dine there. However, its steep pricing prevented us from trying out the restaurant for several years. 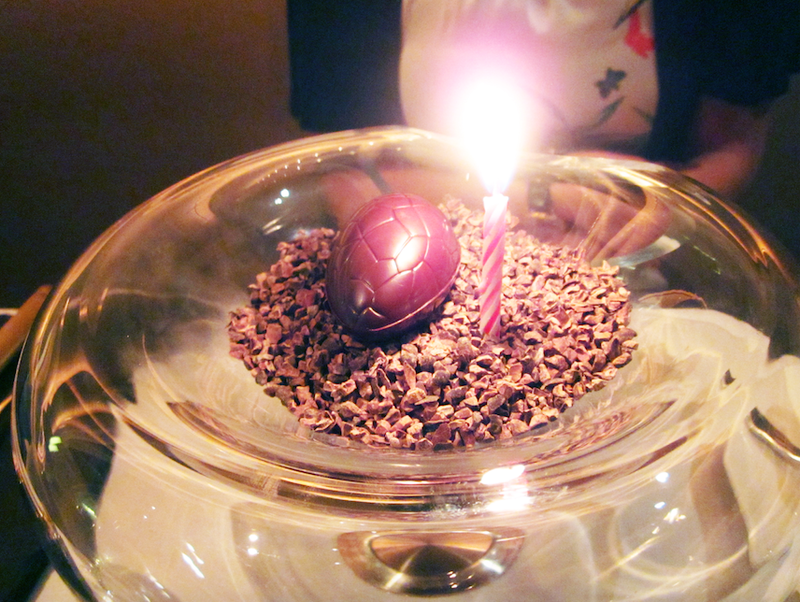 It was for one of our birthdays in March 2013 that we finally managed to head to Iggy’s for a highly anticipated dinner. Our expectations were through the roof. 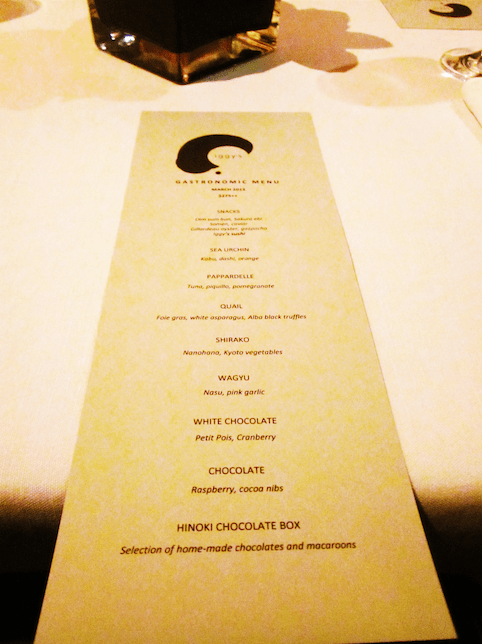 Only its 11-course gastronomic menu was served that evening. 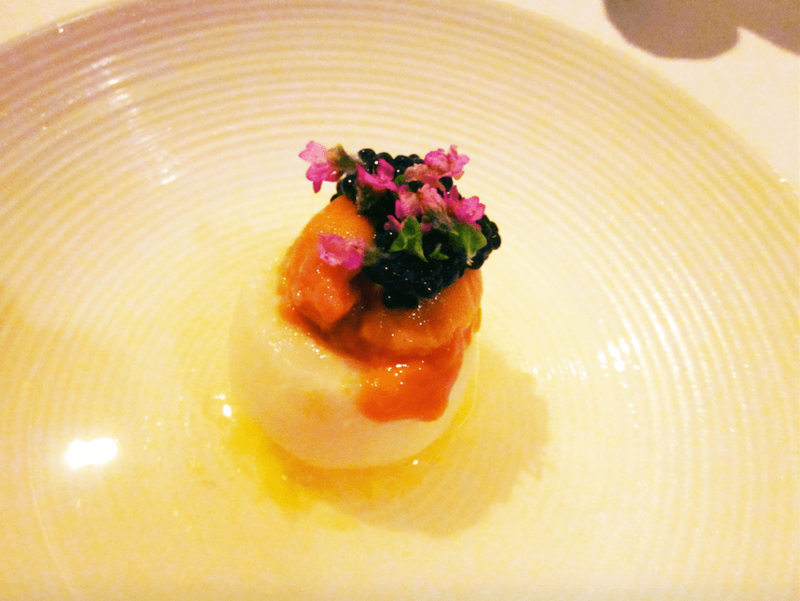 We began our meal with “snacks”, which consisted of a Dim Sum Bun with Sakura Ebi, a dish of Snow Crab with Banana & Somen Caviar and Iggy’s Sushi. 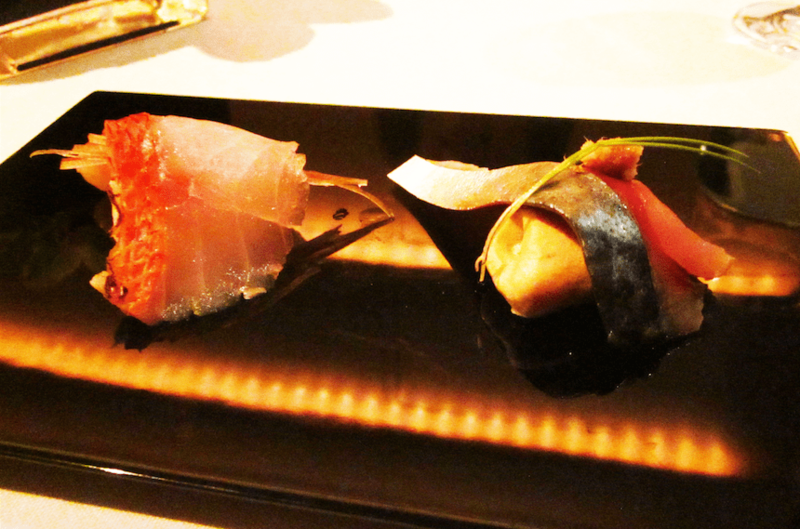 These were followed by a dish of Sea Urchin with Kabu, Orange, and Dashi. 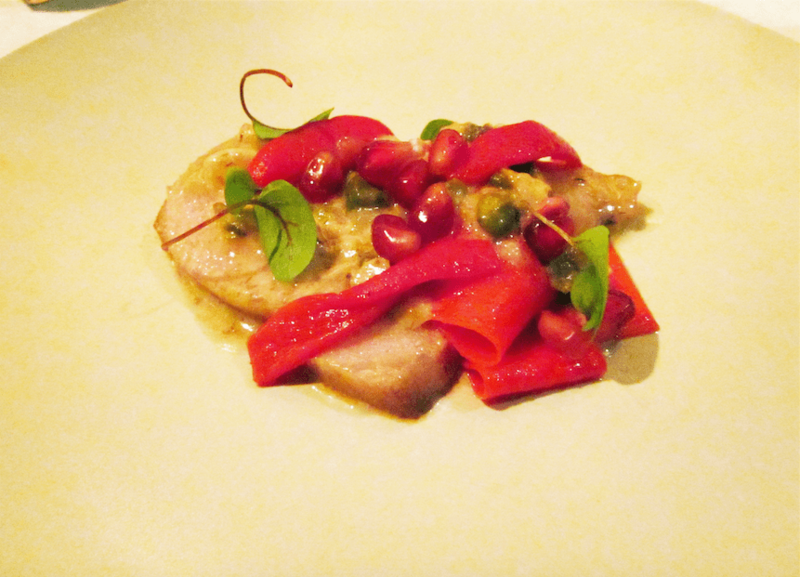 Next came Pappardelle with Tuna, piquillo, pomegranate. 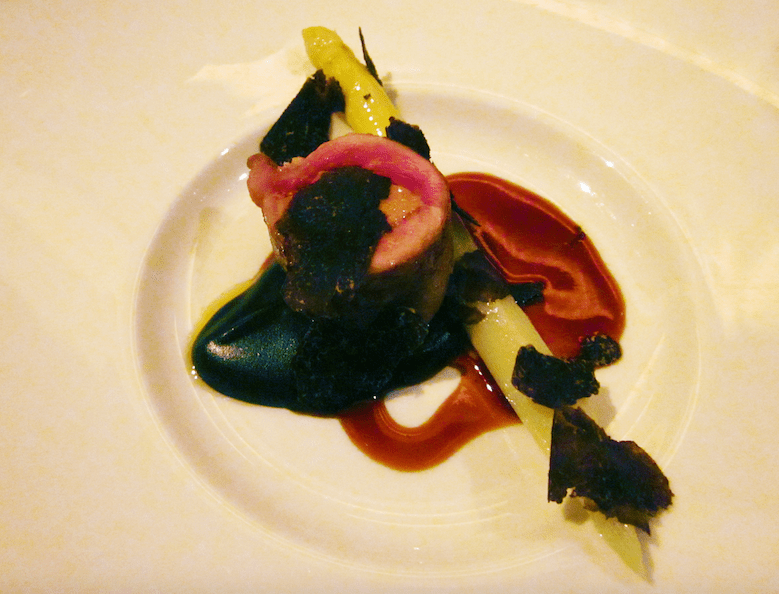 The meal then progressed to the mains, which commenced with the Quail with Foie Gras, White Asparagus and Alba Black Truffles. Then came the Shirako with Nanohanam and Kyoto Vegetables. 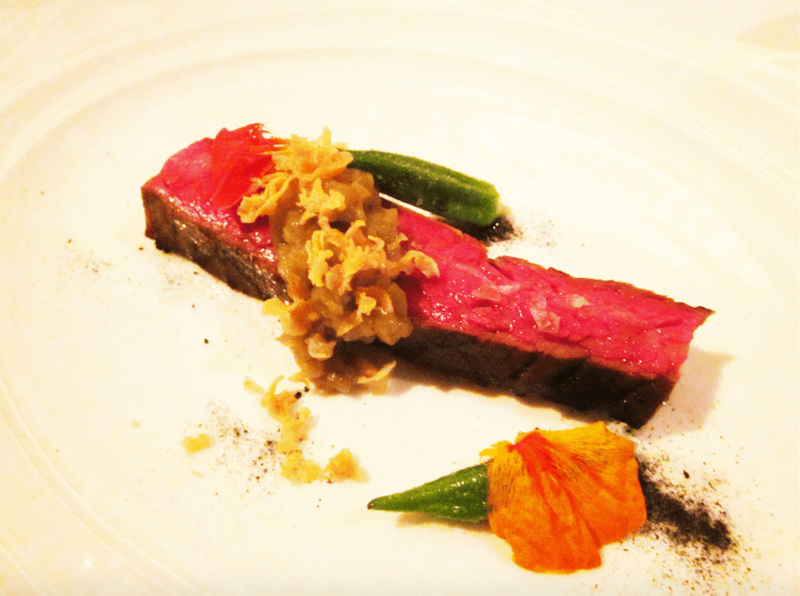 The meal reached a climax with the Wagyu with Nasu and Pink Garlic before progressing into dessert. 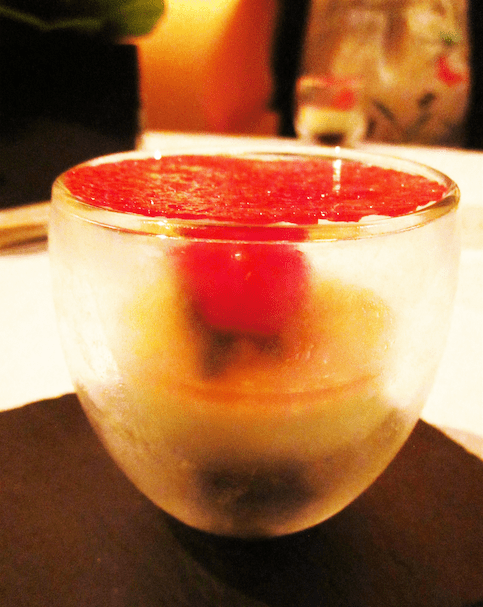 Desserts began with a dish of White Chocolate with Petit Pois and Cranberry. 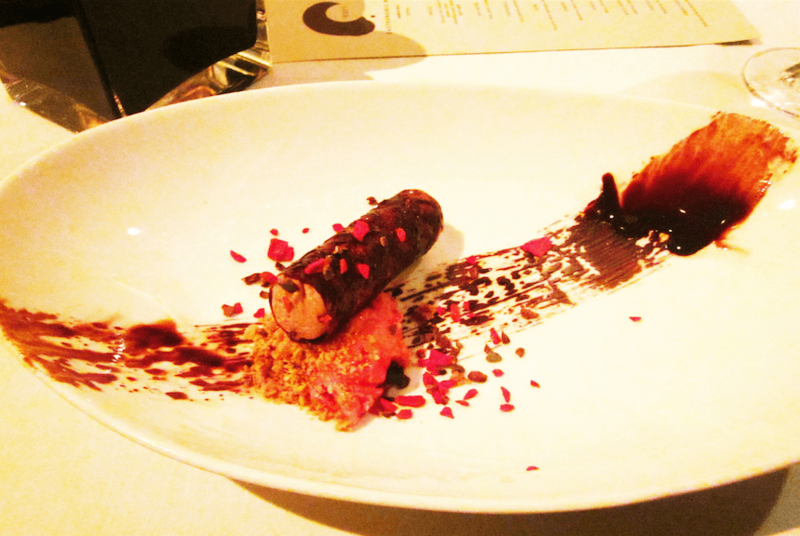 Then it moved on to a Chocolate with Raspberry and Cocoa Nibs. 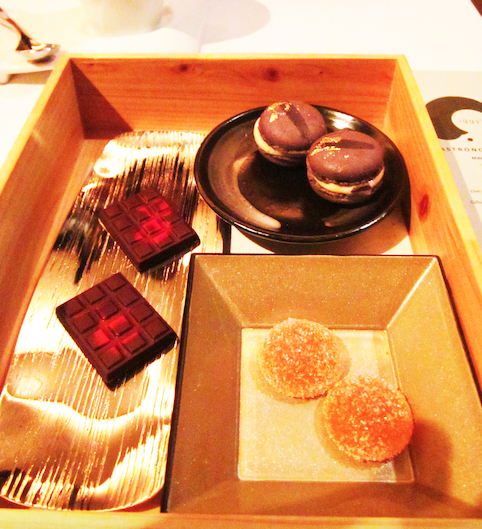 Finally, the meal ended with a Hinoki Chocolate Box with a Selection of Home-Made Chocolates and Macaroons. Of course, it being a birthday celebration, Iggy’s prepared a special surprise for our birthday girl: A Special Chocolate Dessert. On the whole, Iggy’s was a dining experience of a lifetime. 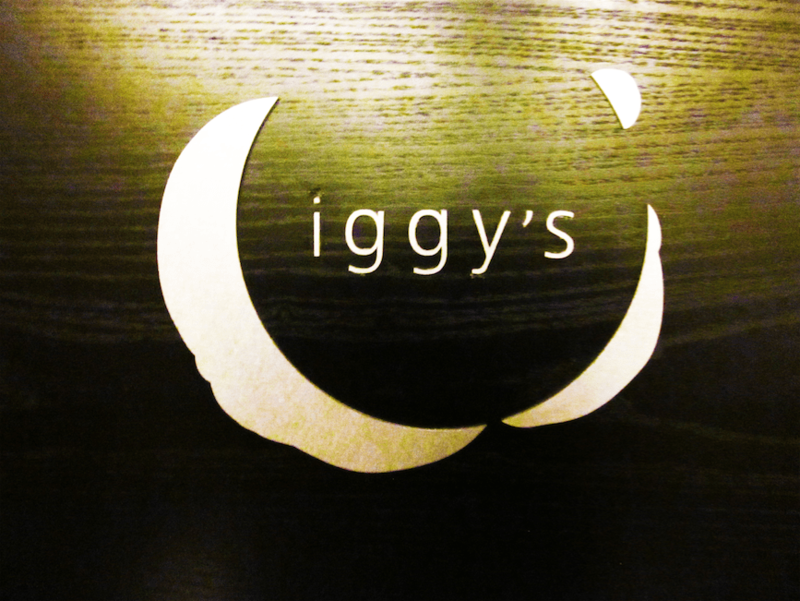 By that, we mean to say that we will only dine at Iggy’s once in our lifetime, due to its steep pricing. Our bill for the evening amounted to $275++ per person which still remains as the most expensive meal we have ever had, in spite of our many dining adventures overseas and in Singapore. Apart from its pricing, we were not truly wow-ed by our experience, which perhaps might have been due to our high expectations. 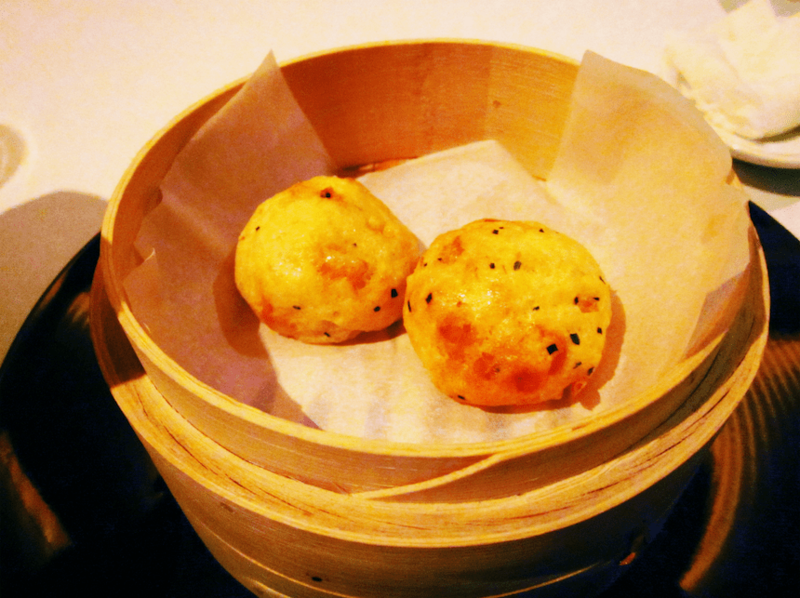 Nevertheless, we fully expect a restaurant of such calibre and pricing to comfortably deliver on our expectations. Alas, it was not to be. 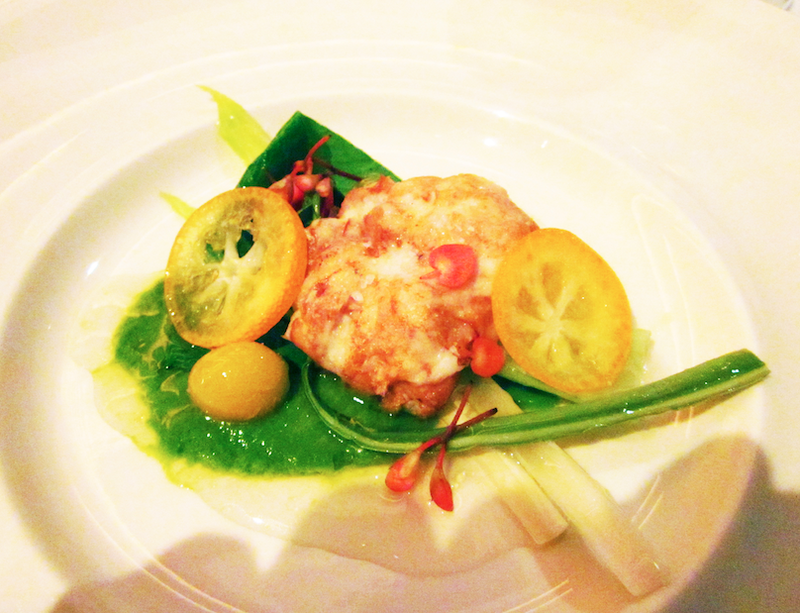 That evening’s food at Iggy’s was beautifully made and presented. However, there was just something lacking in our whole dining experience. Iggy’s gave us a clinical experience with little warmth, personality or soul to connect with us or tug at our heartstrings. As a result, despite its reputation and many accolades, we only had an ok experience dining at Iggy’s. 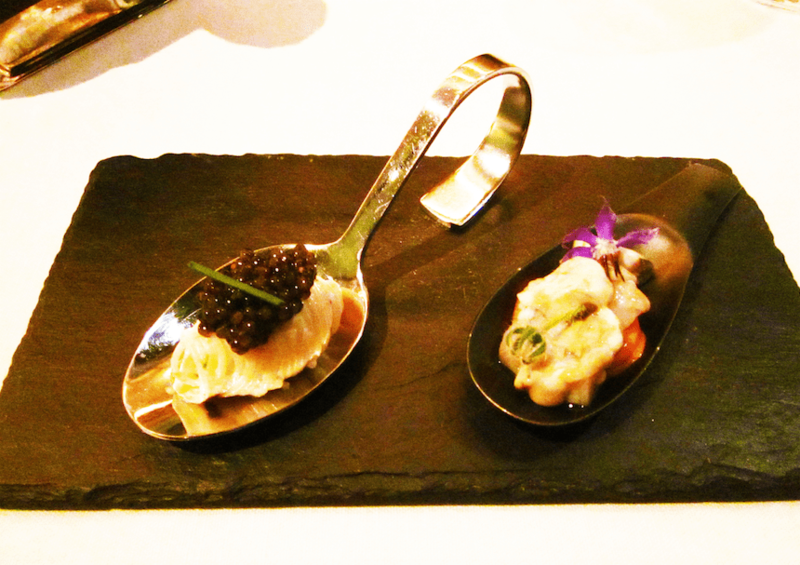 We have had better dining experiences at other local establishments, such as Restaurant André, and the many other restaurants in London that we have been to, such as L’Atelier de Joël Robuchon.